A Museum’s brand is a vital part to its future. Today, when museums exist as multiple personalities—virtual, physical, and then in people’s memories—the brand of a museum acts as a necessary tool for the museum to assert and maintain these diverse personalities. From the actual look of the logo to the acronym or shortened name—MoMA, The Met, WHITNEY, DIA, etc.—to the location, to the subject matter to the architecture, every aspect of a museum works to establish a brand identity for a museum. Branding not only to defines and establish identity, but also acts as a mutli-tooled and multi-modal perpetuation of advertisement of that identity. The development of design firms which design museum identities in entirety—from the exhibition to the logo to the letterhead—reveals how the branding process has changed from a graphic designer creating a logo to a large production team that works to create a full-packaged deal. Though this format may be appealing—buy everything at once and in one place—I question such a formatting of identity. When one firm works to develop every detail and feature of a museum, do we risk these places becoming sites of over-design? And here is another question—how do you brand the Museum of Brands? I went to the Met yesterday and I had two experiences that so well illustrated the post by Ryan concerning object reproduction as discussed in the Lippman article. It also pairs well with the concept of putting objects on display in context. When I arrived at the exhibit, The Milkmaid was surrounded by many more spectatorsthan those Vermeers owned by the Met. And who could blame us? I have no idea when will be the next time I’ll be in Amsterdam. And the painting is exquisite. So were the other 5 Vermeers in the Met’s collection which were displayed alongside it. The funny thing was, I HAD seen The Milkmaid before. (At the Rijksmuseum obviously; I am not over 70 years old.) But I hadn’t really remembered it was the Milkmaid I saw there anymore than Love Letter or Woman Reading a Letter which are also in Amsterdam. But that didn’t really matter to me. I’m not an encyclopedia but I still enjoy seeing great paintings. Reproductions are never replacements when it comes to enjoying the technique of masterly painting. The Met had an entire wall with reproductions of these 36 painting in a grid. Because so many of Vermeer’s paintings are recognizable (if not iconic), it was incredibly interesting to study which of these painting were located in which museums around the world! I was endlessly amused to see a reproduction and think to myself “oh, I’ve definitely seen this one, it must be at the Rijksmuseum in Amsterdam” – and then check the legend to discover it was owned by a museum I had never visited! 2. Museums’ collections are no doubt assets, but they may also devise their own assets by making the experience of seeing their objects a meaningful and educational experience. I thought the grid of Vermeer reproductions was such a simple, but incredibly effective tool to communicate just how limited in scope Vermeer’s work is, and it was so fascinating to compare the similarities between all of his paintings, while highlighting those that did not conform to his standard compositions. Madame X by John Singer Sargent, certainly an iconic, memorable painting, was recently located in the European painting and sculpture galleries. This was somewhat problematic as Sargent is an American artist. On the other hand, it was displayed along other American and European full-length portraits in a similar, soft brushy technique. In my opinion, it was an absolutely amazing pairing of paintings – my favorite part of the entire museum at the time! The Met has recently remodeled their American Wing (we discussed this earlier in reference to the new interactive screens in the Period Rooms.) Though their Period Rooms are “up and running” for the most part, the installation for many American paintings and decorative arts is not completed. As a compromise, these objects are labeled and displayed in a (for lack of a better word) cramped storage room that is open to the public. They moved (as far as I could tell) all of their American paintings that were formerly in the European wing to their temporary “open to the public storage.” My friend and I were determined to see Madame X and were not convinced the Met would deign to keep her in this storage room, but a couple guards insisted she was there. 1: Seeing an object in context is obviously one of the most important things a museum can execute. It is a complicated issue. Now Madame X is placed alongside other American objects. Does this do the painting justice when she is displayed so poorly? Obviously she will be much easier to see when the rest of the American Wing is remodeled. But even so – the question is really should she be paired alongside other full-length portraits, regardless of nationality? Or only along fellow American full-length portraits? 2: In is so interesting when realizing that The Milkmaid is certainly as prolific an image as Madame X. Yet right now, as I type, they are both under the same roof. One is having people huddled around it, and the other is lost to the world. We knew it was coming. Today New York Times architecture critic Nicolai Ouroussoff officially declared the end to an epoch of iconic cultural architecture in America. I suppose this is also the end of the Bilbao Effect. His article surveys history of American cultural identity as expressed through architecture beginning with the City Beautiful Movement in the late 19th Century. I found this statement rather interesting: “The problem with freedom, after all, is that it allows for horrifying imaginative failures as well as works of stunning genius.” This reminded me of a quote from Goethe ” There is nothing worst than an active imagination, a lot of money and no taste”. It makes you wonder how many bad ideas we may have been saved from. 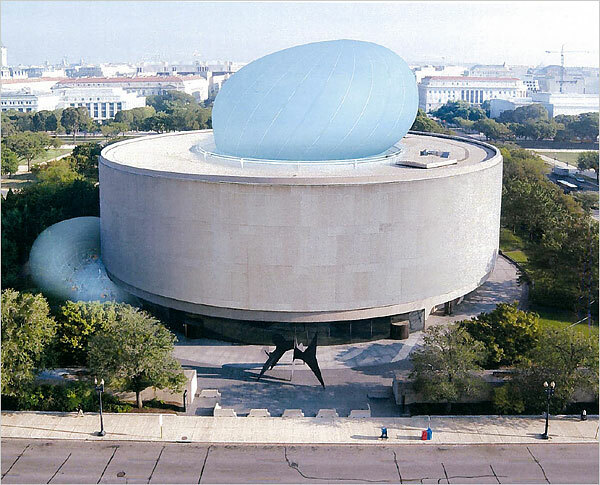 What will all of this mean for the next generation of museum building? What forms will museums of the new epoch take in response to this new found modesty? Perhaps what is happening inside the museum will finally become as important than what is happening on the outside.